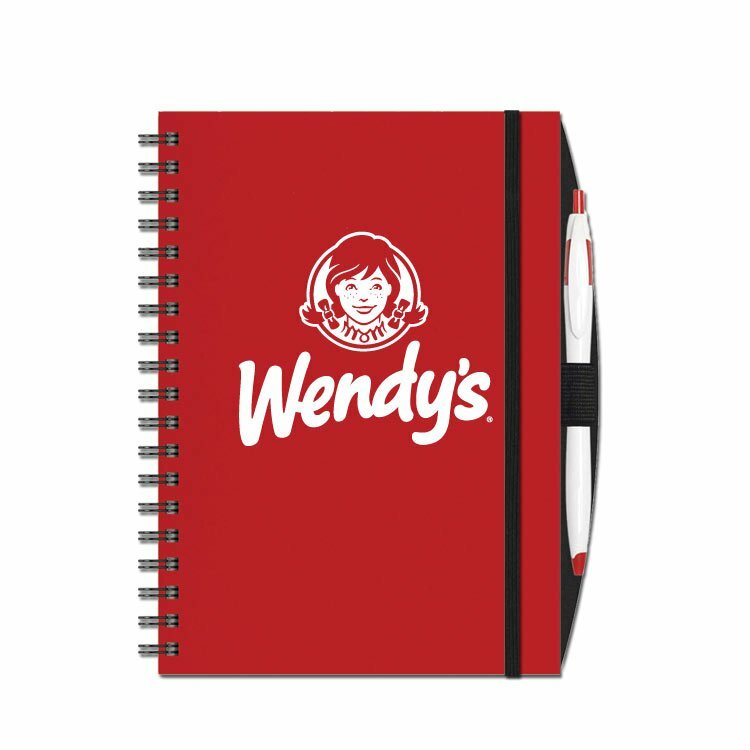 7” x 10” notebook with 100 sheets of ruled paper and easy to clean plastic cover. Includes built-in elastic pagemarker as well as pen loop and pen! Pen is not imprinted.